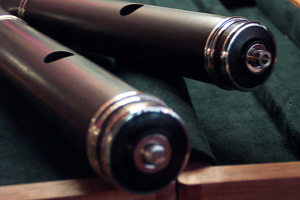 Holmes-McNaughton offer reproductions of original flutes, mostly eight keyed simple system. Left & Right handed. 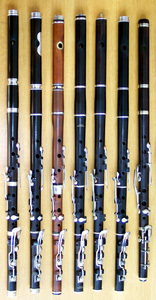 We prefer to make flutes in selected African Blackwood. Other woods are available. All keywork is Solid Silver, we hand forge the keys to give strength and durability.